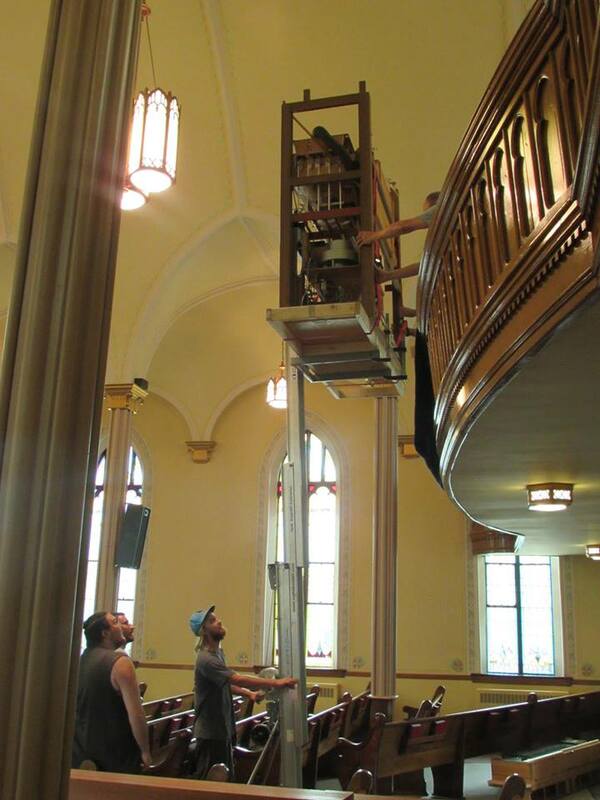 The old organ has been removed, the new organ was disassembled and moved to New Hamburg, and now, reassembly of the new organ has begun in Trinity’s gallery! The heaviest pieces were lifted into place, and the work continues with the reconnecting of keyboards and trackers, unpacking and placement of pipes, and then voicing and tuning. Look for the organ to be fully playable by mid-October. Thanks to our many helpers who have assisted with this project from the beginning! This entry was posted in Music, Worship on September 23, 2015 by trinitynewhamburg.